Glens Falls Hospital, during a week-long celebration of Nurses Week in May, honored 11 nurses for the quality care they provide throughout the entire year. The events of Nurses Week were centered on recognizing nurses for the critical role they have in delivering compassionate and expert clinical care to patients. The hospital also announced that for the past four consecutive years, Glens Falls Hospital nurses have been finalists or named in the Top 10 Nurses of the Year for the Times Union Salute to Nurses, including this year’s winner Jennifer Cleveland. 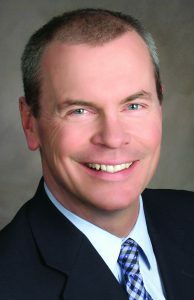 Andrew Cruikshank joined Fort Hudson Health System as CEO in 2000. The CEO of Fort Hudson Health System, Inc., has been awarded the highest honor for excellence in senior care leadership by a statewide association of senior care providers. Andrew Cruikshank as presented with the 2018 Lawrence E. Larson Memorial Award of Honor from LeadingAge New York on May 24 in Saratoga Springs. LeadingAge New York represents more than 450 nonprofit senior care organizations from across the state. The state Department of Health has launched the NYS Health Connector, a web-based application that allows quick access to a wide range of health information—such as the costs of various medical procedures and the frequency those procedures are performed at hospitals—empowering consumers to make more informed health care decisions. The new website, which also features health care service and utilization data, is a rich resource for policymakers and researchers interested in identifying needs and resources in communities throughout the state as well, officials said. NY State of Health, the state’s official health plan Marketplace,reported in May that more than 4.3 million New Yorkers enrolled in health plans during its fifth open enrollment period that ran from Nov. 1, 2017 through Jan. 31. Despite being a year marked by concerns about the continuation of the Affordable Care Act, consumer demand for coverage in New York remains strong, she said. NY State of Health, the state’s official health plan Marketplace, today released detailed demographic data on the more than 3.6 million New Yorkers who enrolled in a health plan through the close of the fourth open enrollment period on Jan. 31. Approximately 18 percent of the state’s population (nearly one in five New Yorkers) enrolled in a health plan through NY State of Health as of the end of the 2017 open enrollment period, officials said. The success of NY State of Health has resulted in a significant drop in the state’s uninsured rate, from 10 to 5 percent between 2013 and 2016, according to data from the Centers for Disease Control and Prevention. • The 18 percent of the state’s population enrolled as of Jan. 31 represents a net increase of nearly 800,000 since January 2016, when 2.8 million people were enrolled. 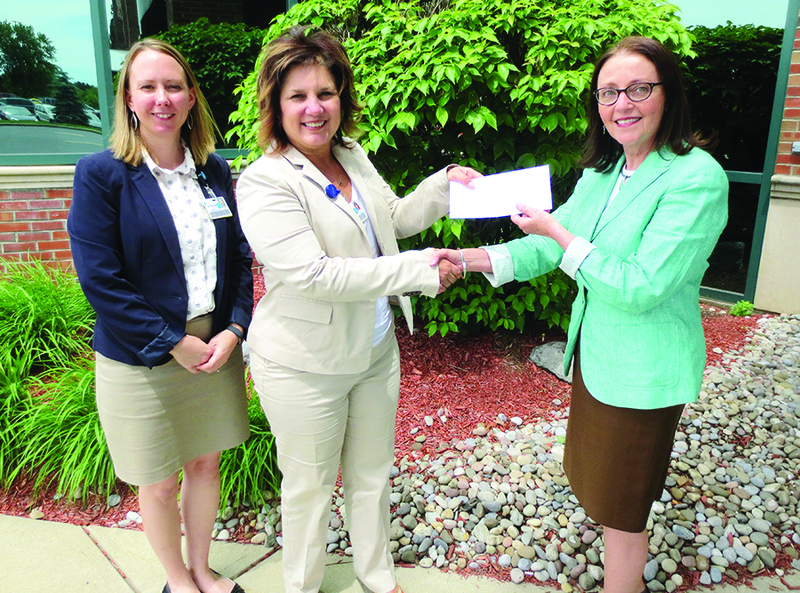 Adirondack Health Institute Chief Administrative Officer Kate Clark (right) presents an award to Glens Falls Hospital’s Theresa Alvaro, center, and Cathleen Traver. Approximately $1.4 million has been awarded by the AHI Performing Provider System (AHI PPS) to partner organizations in the Glens Falls region to undertake innovative health care projects. Innovation grant funding, part of the state’s Delivery System Reform Incentive Payment (DSRIP) program’s efforts to fundamentally restructure the Medicaid system, will support the implementation of five progressive projects involving Glens Falls Hospital, Hudson Headwaters Health Network, Fort Hudson Health System, the Open Door Mission, and Warren-Washington Association for Mental Health, officials said. All told, more than $3.9 million was awarded to 10 organizations in five North Country regions (St. Lawrence County, Saranac Lake/Essex County, Fulton County, Plattsburgh, and Glens Falls). “Each of the awarded Innovation Grant projects in the Glens Falls region align with the overarching DSRIP goal of population health and an integrated delivery system,” said Margaret M. Vosburgh, CEO of Adirondack Health Institute. Officials said many of the projects in the five-region PPS focus on improving behavioral health outcomes through a wide range of initiatives, including the establishment of a program to increase access to psychiatric providers via live, face-to-face, interactive telepsychiatry services in the Glens Falls region. A new concept in preventive health care was unveiled at Albany Medical Center in May. The only program of its kind in the region, the Executive Health Program was designed to allow busy business executives to tap into Albany Med’s extensive medical expertise, but with the personal attention and setting more reminiscent of a fine hotel than a hospital, officials said. The program is housed in a newly constructed suite at Albany Med.